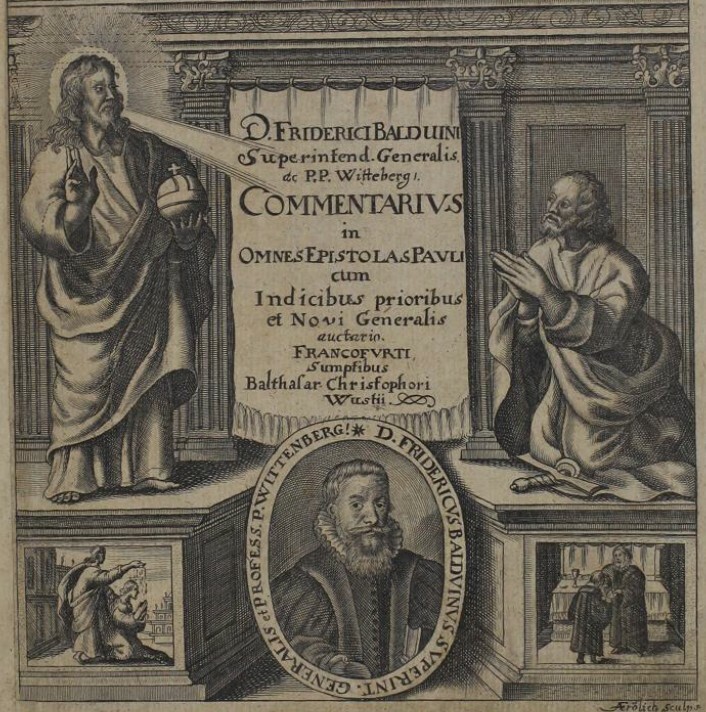 In an article in the Historisches Wörterbuch der Philosophie, T. Mahlmann claims that the first use of the word christology occurs in Friedrich Balduin’s commentary on Paul’s letters. When I ran across this reference in a footnote about something else, I realized (a) I found this to be both a little bit interesting and a little bit surprising, (b) I had a PDF of Balduin’s commentary on my hard drive from some research I did last year, so I could look it up pretty easily, (c) I had nowhere to use this interesting and surprising thing I had learned, and (d) I have a blog I can post to. Romans 8:3-4, says Balduin, contains the true christology, or doctrine of Christ. He then unpacks just how much christology Paul delivers in this teaching that God sent his own Son in the likeness of sinful flesh, and for sin, in order to condemned sin in the flesh. True God, true man; God’s Son, our flesh. 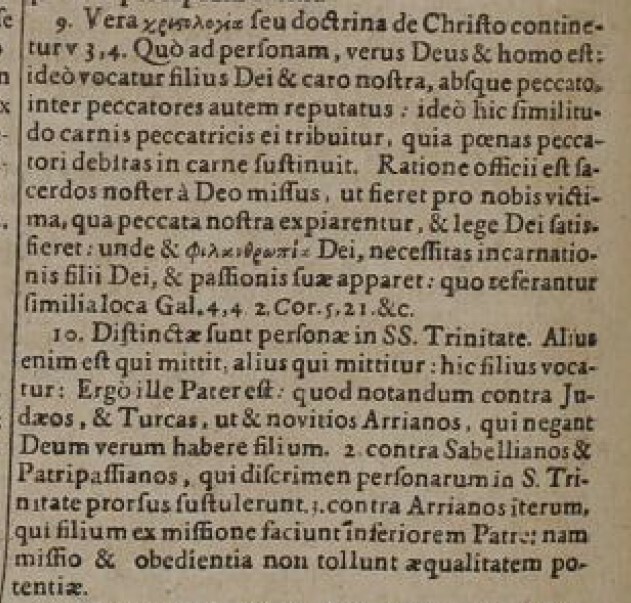 He concludes by pointing out significant parallel passages: Gal 4:4, 2 Cor 5:21, etc. So there you go: Apparently the handy word christology came about when a Lutheran theologian was commenting on Paul.